Your jazz singing voice should be a natural extension of your speaking voice. 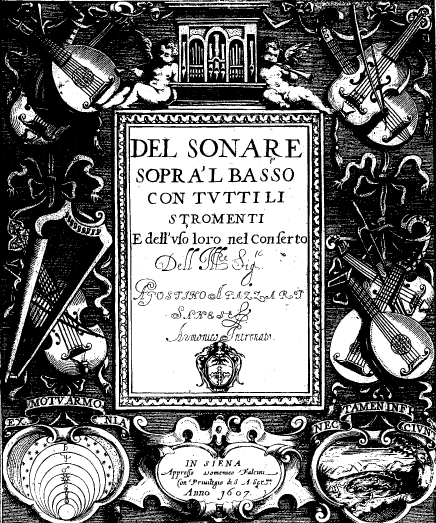 In Le Nuove Musiche (1601), Caccini asks for una sorte di musica … quasi che in armonia favellare, usando … una certa nobile sprezzatura di canto. [A kind of music, almost like speaking in harmony, using a certain elegantly ‘cool’ vocal production.] Note that, contrary to received opinion, Caccini’s sprezzatura is not to do with rhythm, but with voice-production. See Play it again Sam, the truth about Caccini’s sprezzatura, here. The complete original text of Le Nuove Musiche is here. Your aim is to move an audience by conveying the lyrics of a song as if it were a poem. Now sing your song … exactly as it was originally written by the songwriter. That should prevent you copying a particular interpretation off a recording by an admired artist: rather, you should create your own version of the song. This is very good advice for students of 17th-century song, too. It’s surprising how many interpretative touches have been passed through the Early Music movement, even when they are contradicted by well-known period sources. And all too often, Early Music singers begin introducing random rhythmic changes (in the name of ‘expressiveness’) before learning what the composer actually wrote! Nevertheless, the subtle rhythmic displacement that is so important for Jazz is mentioned also by Caccini (but remember, this is not sprezzatura). The freedom to loosen up the rhythm of a song spontaneously to add intensity is one of the joys of singing jazz. To practise rhythmic displacement, it is a good idea to begin by learning … the song. [Then], start subtly “loosening up” the timing of each phrase. The idea here is to sing the words rather like you might say them. Try shortening and lengthening different notes each time you sing a phrase and notice how playing about with the rhythm changes the emphasis on the words and can help you put your own stamp on a song. Your singing will also sound more like jazz if you leave a short space (about the length of a clap) before launching into every phrase. For a few bars of one of his three example songs, Caccini applies senza misura [unmeasured, i.e. ‘loosened up’ timing], asking for this particular phrase to be quasi favellando in armonia con la suddetta sprezzatura [almost speaking in harmony with the above-mentioned sprezzatura]. The ‘above-mentioned sprezzatura‘ is a ‘cool’ vocal production. The jazz citations above are from The Guardian’s online Jazz Singing Advice (2009), full text here, and having dealt with words, the anonymous columnist continues with a paragraph on Swing, paralleling Caccini’s priorities of Text and Rhythm. 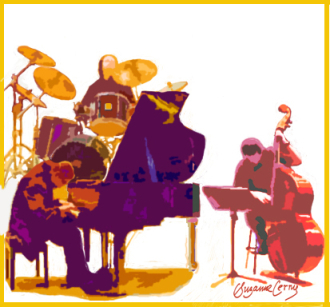 Jazz singers … usually change the notes and rhythms from the original music. Jazz singers create their style with rhythmic flexibility, and the singer and pianist don’t always have to be together note for note (called back phrasing). The jazz singer needs a great sense of rhythm. Just as in renaissance Italy. The Anonymous swordmaster of Bologna writes in L’Arte della Spada [The Art of the Sword, MS Ravenna M-345 & M-346. 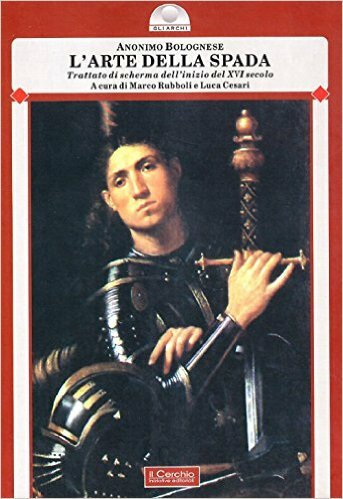 There is a modern edition by Rubboli & Cesari, who date the treatise to the early 16th century, whilst the consensus view places it c1650] that swordsmen need the same sense of precision rhythm as a good singer! But the Guardian, Phillips and Caccini all fail to mention (though Phillips hints at it) a vital, hidden assumption. 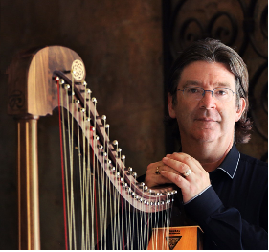 Whilst the singer ‘loosens up the timing’ with rhythmic displacement, rhythmic flexibility or senza misura (whatever you want to call it), the accompaniment maintains a steady swing. We take this for granted in jazz, and the renaissance concept of Tactus similarly requires a steady slow pulse. 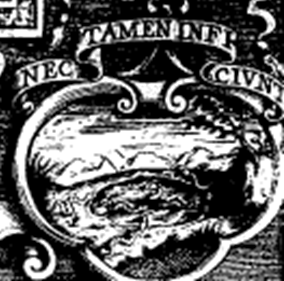 (For Monteverdi, Caccini etc, evidence suggests a consensus Tactus speed of around minim = 60). The crucial point I’m making is that this concept of Tactus still pertains in the accompaniment, even when the singer is applying Caccini’s senza misura. Monteverdi notates this practice, for example in the opening phrase of Orpheus’ aria in the underworld, Possente Spirto, from Act III of Orfeo (1607). Just as Phillips describes for jazz, singer and basso continuo are not always together. Taking Monteverdi as a model, here is my realisation of Caccini’s example of senza misura from Le Nuove Musiche, showing how the singer might loosen up the timing, whilst the continuo maintain the Tactus. Such a realisation fundamentally redefines the role of the continuo. Nowadays, continuo-players are asked to follow even the most random, rhythmically anarchic singers. 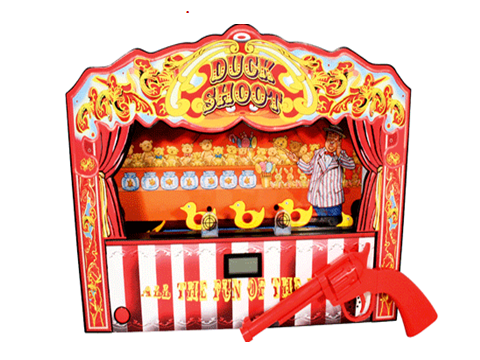 It feels like that fairground game, where you wait, rifle (or theorbo) in hand, until a little yellow duck (the tenor) waddles into your sights, and then you fire off a chord, and hope to hit him in root position. Those who guide and sustain the whole body of singers and instruments of the ensemble. quei, che guidano e sostengono tutto il corpo delle voci e stromenti di detto concerto [Agazzari Del suonare sopra ‘l basso (1607)]. There is, of course, no conductor, so the continuo are indeed the Rhythm Section of seicento music. None of this should be shocking to Early Music readers, except that the familiar role of the continuo as Rhythm Section, maintaining the swing of the Tactus, still pertains, even in what Caccini calls lo nuovo stile [the new style] of what musicologists call early baroque Monody, and most performers (anachronistically) call Recitative. Heavenly Tactus or Hellish Duckshoot? At the foot of the title page of Agazzari’s treatise, there are two Latin mottos. 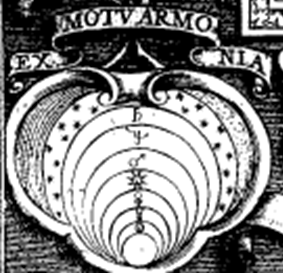 One shows a diagram of the cosmos, a model of armonia [which in this period means not only harmony, but music in general, in particular well-ordered or ‘goodly’ music]. Specifically, well-ordered music comes from the perfect movement of the stars and planets, imitated on earth by the regular swing of the Tactus-beater’s arm, conceptualised as the authority of the Tactus itself. All this refers to the idea of the Harmony of the Spheres, the notion that earthly music-making, musica instrumentalis, is an imitation of the perfect music of the heavens, musica mondana; both of these symbolise musica humana, the harmonious nature of the human body. Well-ordered music is related to healthy well-being. Steady rhythm is a reflection of cosmic perfection. 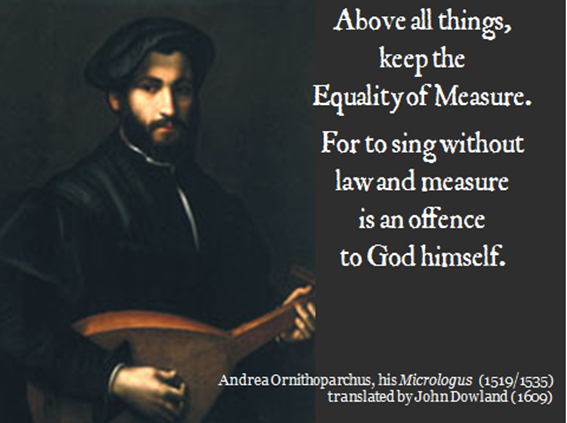 Thus Dowland, translating Ornithoparcus’ Micrologus, declares that steady Tactus, “Equality of Measure” is a moral imperative. And they don’t mess up, either! If we view Caccini’s invitation for singers to apply senza misura and Agazzari’s description of the continuo ‘guiding the voices’ through the lens of these two mottos, we see a practice that today’s jazz-musicians would recognise: a singer is free to sing before or after the beat, whilst (in the Rhythm Section) the continuo-players maintain the Tactus. “And they don’t mess up, either!”. Modern advice about jazz cannot prove anything, either way, about Early Music. But the parallels I’ve drawn here show the vital significance of underlying assumptions. Today’s performers approach Caccini and Monteverdi with the anachronistic label ‘Recitative’, which encourages them to abandon the period assumption of steady Tactus. Instead, they assume that the way to ‘express emotions’ is to use 20th-century rubato. But jazz and Caccini are not ‘expressing’ what the performer feels, they seek to move the audience‘s passions. Jazz does this by allowing the singer subtle rhythmic flexibility whilst the Rhythm Section maintains the swing; Monteverdi notates precisely this; I suggest this is what Caccini meant by suggesting senza misura for singers. The underlying assumptions about music in the early 17th century are that Rhythm is a high priority, that there is a steady Tactus, and that this Tactus is maintained by the continuo.